As for the exterior, the Oceano mattress has a beautifully designed cover that is stretch-knit and made of highly breathable, soft and smooth, plant-based Tencel. This 4-way stretch cover is skin-friendly and hygienic. It keeps your carbon footprint minimal and allows you to experience the full benefits of the memory foam comfort layer. The soft Eurotop with tailored tweed sides, custom handles, and button-tufted upholstery add to the luxurious feel and appearance of this mattress. 2″ Top Comfort Layer – This layer is 2″ of soft cashmere top cover that features hand tufting and provides comfort and luxuriousness to the mattress. .5″ Cooling Layer – This is a .5″ cooling layer made of Gel Infused Memory Foam that provides cooling to the upper layers of the mattress and works with other layers to provide a better contouring support. 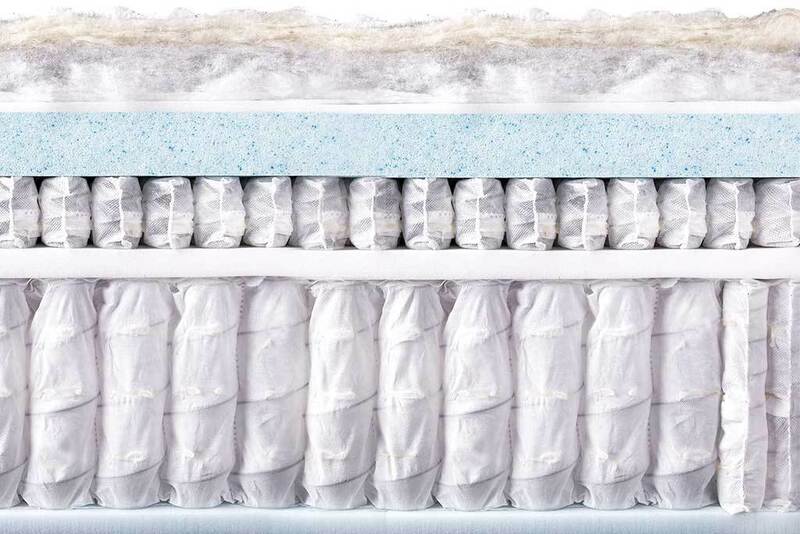 .5″ Response Layer – This layer is .5″ response layer designed from natural hypoallergenic latex that provides bounce and contour and makes this mattress suitable for those who tend to shift their positions during sleep regularly. .25″ Support Layer – This layer is .25″ of DreamPlush supportive memory foam, inserted for additional body contour and comfort. The DreamCloud Sleep hybrid mattress like the Brentwood Home Oceano only comes in one firmness option which scores 6.5 out of 10, with 10 being the firmest. The multiple layers of which it is comprised make this mattress suitable for sleepers of different weights. Heavier sleepers will not compress the mattress and feel the foundation below as the high-density foam layers combined with an innerspring layer provide a supportive structure underneath the soft plush top comfort layers. 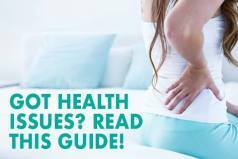 This mattress provides enough give in the top comfort layer to cradle your body when sleeping on your side, and it has enough firmness needed to support your back and stomach. The top memory foam and latex comfort layers provide excellent body contour and hug your body without the feeling of being trapped in memory foam that some of the full memory foam mattresses cause. As for the comfort, the DreamCloud is one of the most comfortable hybrid models that we have tested to date. The mattress is 15 inches thick with 8 different layers incorporated within it, out of which the gel-infused foam top layer prevents heat retention and helps in cooling your body, while the top comfort foam layers with the soft hand-tufted Cashmere cover provide excellent body contour and an overall feeling of luxury and comfort. The DreamCloud provides a lot of comfort while offering enough support to the body where it is needed most, which makes this mattress perfect for all sleeping positions and guarantees a serene and comfortable sleep. 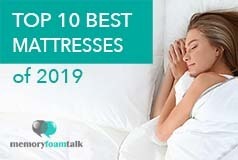 Regardless of its dependence on memory foam that is known for its ability to absorb heat, The DreamCloud Sleep just like the Oceano does a good job in preventing heat build-up and keeping you cool during the night due to its gel infused top foam layer and the innerspring layer that allows good air circulation. The latex layer and the cashmere top cover contribute to this and place this mattress in terms of cooling far above most other mattresses we have tested. 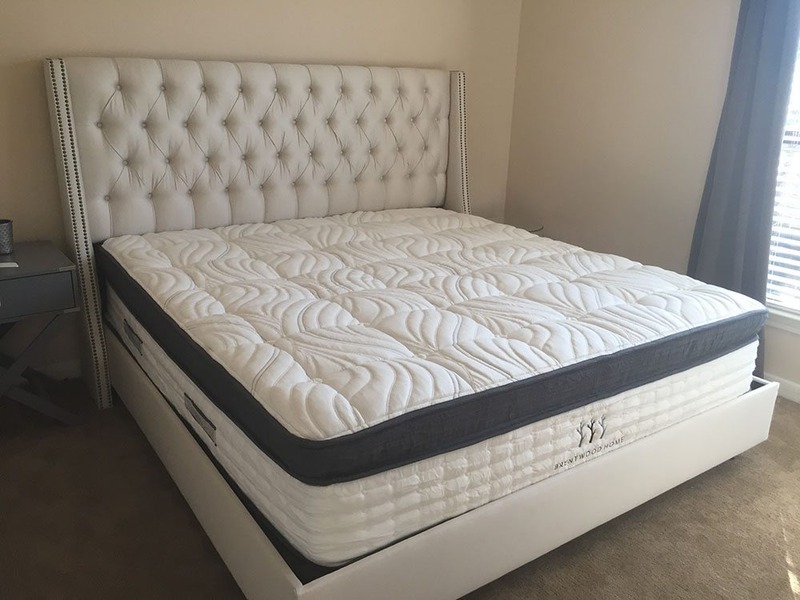 This hybrid mattress does an excellent job with sinkage too as its 15″ thick construction along with the premium layers of foam and high-quality innerspring coil layer prevent sinkage in the least bit, even with heavy sleepers like Andrew (230lbs). The DreamCloud excels in the area of edge support due to the use of the reinforced edge layer in the mattress construction. The 5-zone coil system distributes weight evenly and although the initial foam layers tend to compress at the top, there is no feeling of sliding off the edge of the bed. The DreamCloud Sleep mattress gets high marks in this category for not having a noticeable smell upon opening the packaging. Its hybrid construction minimizes the degree of off-gassing typical for all foam mattresses. 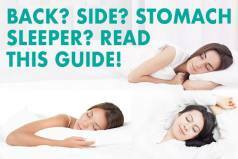 Below is our comprehensive side-by-side comparison of the Brentwood Home Oceano vs. DreamCloud Sleep mattress.